• Canvas and Faux Leather Clutches – made of durable canvas material or faux leather, these clutches can store anything from your favorite lipstick to your smart phone. Use them as a statement piece alone or for travel. • T-shirts and Tank Tops – These shirts are offered in V-necks, crop tops, and comfy unisex tanks. 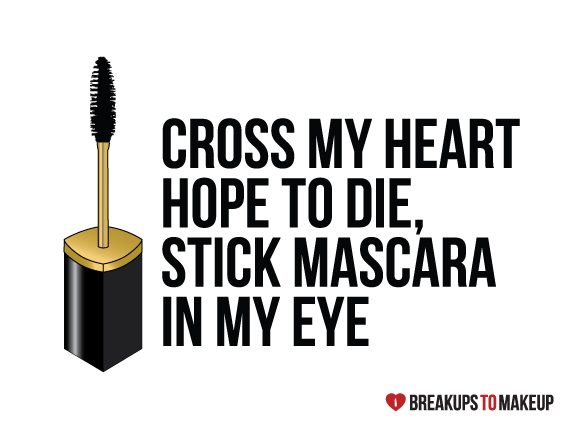 • Phone Cases – This is the prefect accessory for your cell phone and currently comes in five quirky sayings. • Super Slouchy Beanie – these black beanies each have a fun makeup label on the front. 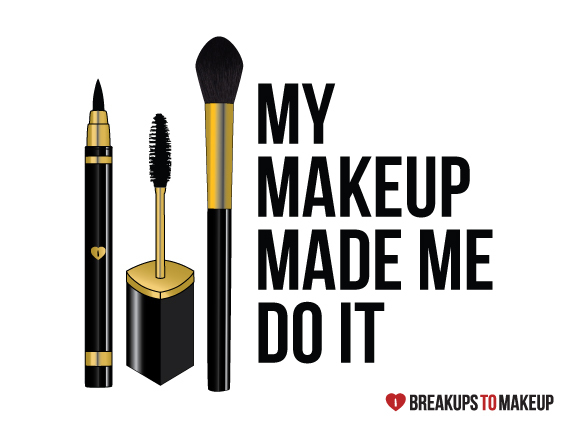 To submit your favorite slogan and tell Breakups to Makeup what you want to see on a clutch, t-shirt or the like visit Breakups to Makeup Facebook or Instragram and let them know @breakupstomakeup. 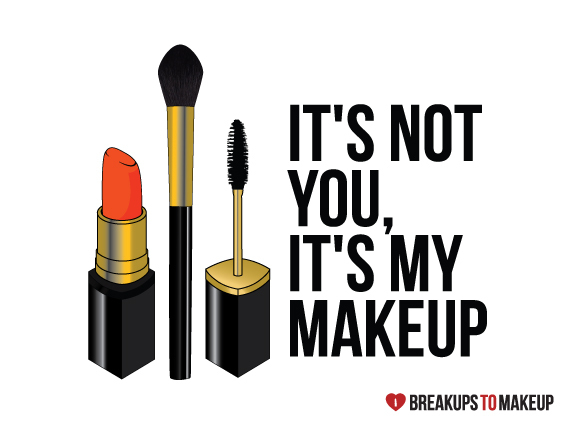 You can also purchase the stickers for $7 per three pack directly on www.breakupstomakeup.com.